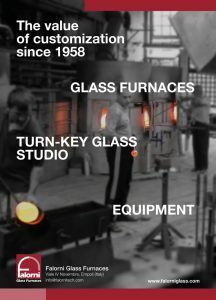 We are proud to announce that Falorni Glass Furnaces, the artistic division of Falorni Gianfranco Srl, is sponsor of the VENICE GLASS WEEK, the first international festival dedicated to the art of glass, with a particular focus on Murano Glass. The first edition will take place form 10/17 September 2017 with over 140 event as open furnaces, exhibitions and more. Our ADV will be placed in the events maps which has been printed in 25.000 copies and distributed all around Venice. 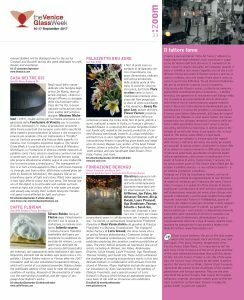 Falorni Glass Furnaces was addressed as “best furnaces for art glass worldwide” and this is a great recognition for all of us.